Function: Extremely easy installation, simply insert cable through the assembled gland and tighten gland locknut until cable is secured. These cable glands are designed to withstand water, dust, salt, acid-base, alcohol, oil and common solvent. 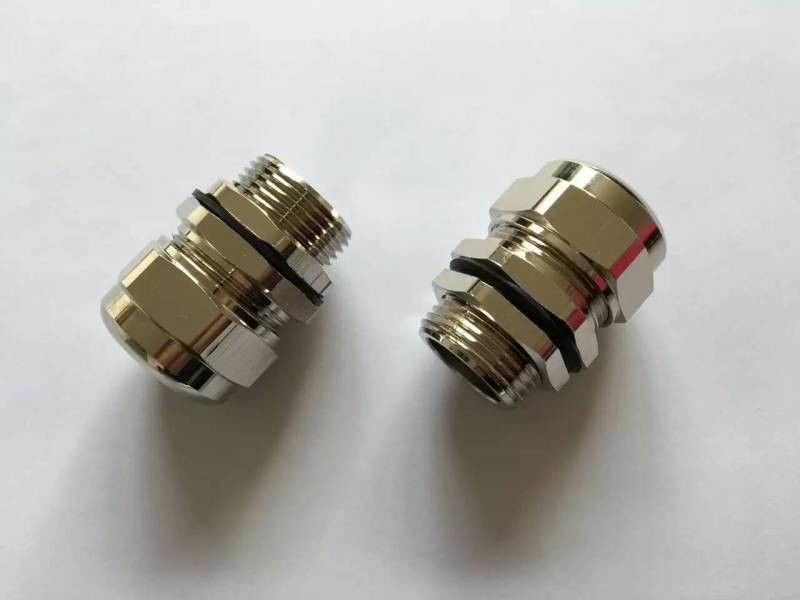 Usage: Waterproof brass cable gland is the product of form a complete set of the cable, connector cable can be lock, the other end can access devices on the box body, also can choose thread access according to the import and export for internal thread electric devices. It is widely used clamping and tightening the cable in the hazardous locations of oil refining.chemical industry and military and so on.